The Laurence Frost Amphitheater, commonly known as Frost Amphitheater, is a prominent amphitheater at Stanford University. It first opened in 1937 and was the site of commencement ceremonies for the university from 1938 until 1984. It can hold about 6,900 people. Renovations to Frost Amphitheater are currently underway! The renewed Frost will have a beautiful, state-of-the-art stage, better accessibility, and modern amenities for both audiences and performers. 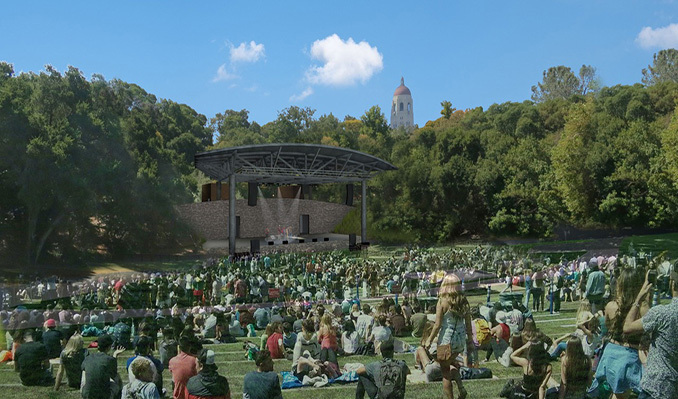 The revived Frost, which will still maintain the magic of the original amphitheater, is expected to open in spring of 2019.